An interesting subject came up in a conversation about 2 weeks ago and in my opinion should be illegal and just becomes another big move for cell phone company lobbyists essentially making companies like this above the law. A guy I know around 2 months ago purchased a used T Mobile Galaxy S2 phone for $250.00. Before buying the phone, he checked it out, it worked great, he checked out everything he could. He even brought the phone to a local T Mobile store to make sure the used phone was legit and not stolen which it was not. The phone was purchased 6 months prior by the guy selling it and it was on a PREPAID plan. The guy who bought the phone put in his sim card and everything was great, he used the phone daily for the next 3 to 4 weeks. Suddenly one afternoon he is using the phone and it blanks out. He begins to get an error message stating the cannot find sim card. He called Samsung and they assisted with trouble shooting, they checked the IMEI number and everything was good on their end. They did a hard master reset on the phone and still no luck. The Galaxy was useless, so being only 7 months old, the phone was still under full factory warranty. Samsung customer care gave an address and postage email and the guy sent the phone in. It took about 10 days and he received an email stating that T Mobile effectively rendered the phone useless. What? They killed the IMEI number by way of technology and repossessed the Galaxy S2 without even having a repoman take it. They just ruin the phone from a computer and its done. No you cannot just change the sim card, this is an IMEI change that kills it dead, bricks it. They sent him the phone back. The guy was pissed, first instinct was to locate the seller for a refund. But he had no memory as to who the seller was and whatnot, plus it just wasn’t worth it to risk a possible fight over a $250 phone. He told me about it so I went online and researched it. Sure enough T Mobile somehow got a bill passed that they can render useless a mobile phone even though the phone was given as unsecured debt. In other words the phones are not signed as collateral upon purchase according to what I read so far. Amazingly we have citizens that are actually in agreement with this stating that they should screw over the thief or person who does not want to pay. If this was the case it wouldn’t be as bad. However the problem is the good guy gets robbed. The guy who buys the phone on the used market since the repossession is not the same day or week. it can happen months later. This action was not to deter criminals or not to hurt thieves. This action is clearly to kill the used phone market and increase new phone sales by way of strong lobbyists and some friendly folks in Washington agreeing to this. In fact, if you own a Samsung galaxy S2 or S3 and it really does get stolen or lost. 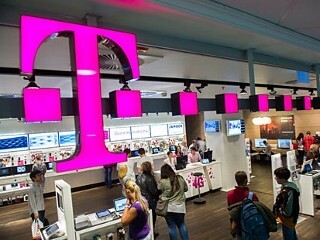 You call T Mobile to kill the IMEI they will say sorry, we don’t do that. This action is one of the most aggressive anti consumer actions I have seen get past in the recent years. What next? You cant pay the credit card bill so the bank has the right to evaluate what was purchased and send out the repoman on unsecured debt? We should all absolutely pay our bills, however we do have laws and clear differences between secure and unsecured debt. Credit card companies make up for by way of fees, late charges and high interest rates. When you go into a phone store, you are essentially getting a credit card to use on a phone. When you buy a car, it is clearly stated that it is a collateral based loan, you don’t pay, you lose the car. Two much different scenarios with similar outcomes. America needs to stop this bullying by above the law companies.